So i found some super bone dry weed in my drawer. Its been there for awhile i guess. As you guys may know im not a big fan of my flowermate. So much so for the past little bit I havent even known where it is! I found it tucked away atop of my fridge. Taking it as a sign from the universe (when life gives you flower and a mate make vapour?) I packed the chamber very firmly like @Baron23 had suggested to me on a previous thread a while back. I fired er up, usually im waiting for it to heat up but not expecting anything to really happened i got involved with something else and it sat a full heat for longer then i normally let it. To my suprise i had quite an impressive session (really wish my ribs werent bruised...) My experience was quite tolerable and i didnt feel tottally ripped off for the first time since ive had this thing. So now that i have admitted partial fault as operator error i feel the company should take some too. The manual tells me how to hit all the buttons something i could figure out for myself. Nothing of practical use with herb. Which is a vauge term i sure they could use in the case of the unit not being meant for marijuana. My only issue with this device now is i dont want to be loading the chamber full im not much of a social smoker and i am almost a microdozer. i know that i have to pack it full, tight and dry to get the results that i want. Im not into being wasteful the vape was bought for conservation. I was wondering if anybody could help me out with ideas on how to go about this. I happen to have a bag of cotton bacon (cotton branded for "e-cigs") i as wondering if i could use that as a filler on bottom? Now that i type it though i think that might mess with the tempature in the oven. Maybe there is a spacer or something i could buy for another vape but it would work in my device? @Best buds i do have some pipe screens. I think i know what you are getting at i will definitely give it a whirl thanks man! 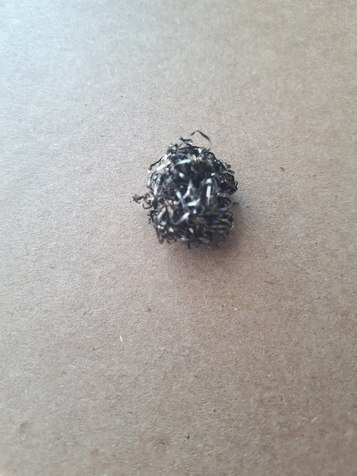 After I lost my oil pad for my Crafty, I had to get crafty and make my own with just a little ball of steel wool/brillo. It covers the extra space, and I would think that it would also add a bit of conduction. Just be careful who sees it, people might think you've become a crackhead. I would prefer to use an old gause or glass if you got it . Ahhh shitt thanks you guys great! @Lucic and Chong awesome idea man. It just sparked one of my own a glass marble or something should work right? Thats gonna take some shopping. Glass is always preferable when available. If you can get it to work, definitely go that route instead. Mine's more of a quick fix, but it works. But be careful with blocking airflow, a solid marble might restrict airflow (though I really know nothing about the flowermate, so maybe it wouldn't). The IQ glass spacers have holes in them to prevent that. @Lucic and Chong very true the brillo would probably be the best performance! I found that using these stainless steel pods were quiet nice for using with my flowermate, I used it everyday a few chamers a day and mostly with these steel pods. I found that packing around 0.1g into the pod and then placing the pod screwtop side down worked best for me. You can buy packs of 3 of these pods for around €10 on amazon. People are probably going to cringe over this, but I'd start at 180°C and go up about 5°C every few draws until I reached the max temp 230°C. By then the auto-shutoff would kick in so I'd do another full cycle on 230°C until I there was no more vapour coming out. Yeah it's harsh AF but you get used to it eventually. I found that if I didnt do this and just went up to the temps most ither vapes used, I'd barely feel high whereas if I did the whole 230°C thing I'd be much higher. Sadly I lost the flowermate about 2 weeks ago, I ordered an extreme q to replace it just today. Can't wait to try it out as the flowermate pro is the only vape I've ever used and nobody on the internet talks good of it. @Cudder since i had better results from super bone dry herb I have not tried a canister. Im not too sure where they are either but that is something i didnt think of only because when i first got it i packed a canister and nothing happened no vapour at all when i put it directly in i had better results but still not that great. Im just happy that i got it figured out now and not after buying a new more expensive vape. Link to that canister, please? I'm a sucker for small misc parts and bits! Always find some use for them. Here you are buddy. I also own a waterpiece adapter for the flowermate, you might have interest in that too if you're into those kinda things. It's not that great through water for some reason, but stacking up your bong with ice and using it without water through the flowermate is pretty nice. This really helps at the 230°C cycle I do, which is where I get most of the visible vapour. I no longer have a FM....donated it to a low income MMJ patient initiative....but I thought the canister was very cool looking. Dude, you were so close! 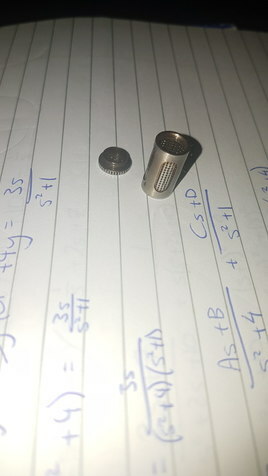 With the screwtop on it's 18mm tall and 9mm in diameter. I like to hear that, good on you. I'll presume you have a different vaporizer now? If so, how does the flowermate compare? I've got an extreme q arriving Monday and I can't wait to try it out, been exclusively using that flowermate since September 2016 so that's all I'm used to. @Cudder have you tried hot water in your bong it is quite amazing. My whole life everybody said ice ice ice baby. What you really need to do or what is preferable to me anyway is when you two turnips in the heat! I had to look this method up on several different site before i tried it. You know when your sick and you put a towel over your head and hot box your soup? Its just as soothing. It also allows you to get more out of your toke. Because its not cooling down any resin so it all passes through to your lungs. Which is either an advatage or a disadvantage depending in you. The FM is a very serviceable, but not particularly outstanding, full conduction vape. To me, it works but is not a top performer in any specific area....sort of a small Chevy of vapes, perhaps? My desktops (Volcano, EVO, Enano, Flower Pot) are full convection. Portables are either convection (like MV1, Milaana), hybrid (I have a Mighty that I love), or in the case of the VapCap its mostly conduction IME. Its sort of a hobby that got out of control. Please don't misunderstand...I'm not putting the FM down...they have sold a lot of devices to a lot of satisfied people who like them alot and appreciate that they aren't $350! @Cudder just some canadian trailer park boy humour its a "rickyism"
The best part is i work for an appliance company. So i get to use "water under the fridge" and "its not rocket aplliances" all the time!! @Baron23 i bought it and i was so disapointed until i learned the secrets lol. Packing firmly as you suggested was just not enough the bud needs to crumble within your fingers and dry your fingers out lol. From now on any flower im going to vape through it has to be left to sit out and get crispy. Now i like my device quite a bit actually. Good budget vape i would say but there was a learning curve for me. 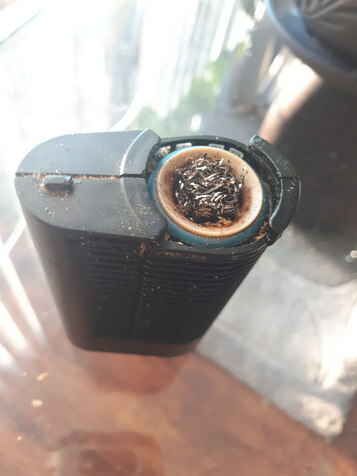 It was also the first vape i have used other than the volcano my close friend had when i was growing up so you can imagine my disapointnent even though i knew not to expect that much. Getting 2 birds stoned with one hit! Big shout out to "Goldy" as well!!!! Flowermate V5.0S, Mini or Pro?? ?